Take a close look at your cell phone. This is a perfect example of what precision measurement is all about. Consider all those little details, such as the screen, the keypad, the cover, and all the mechanisms inside are products of precision measurement tools; how did they come to be? 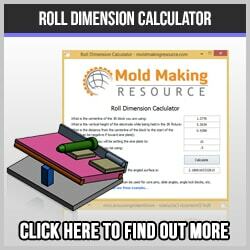 In a typical day a mold maker might use any number of extremely accurate machines and hand tools to work his craft. 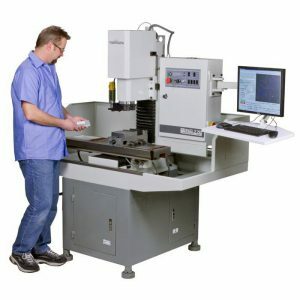 Some of these machine tools are capable of maintaining accuracies as close as .0002 in/ .005 mm. That is as small as a cigarette paper divided 2 times in the thickness! 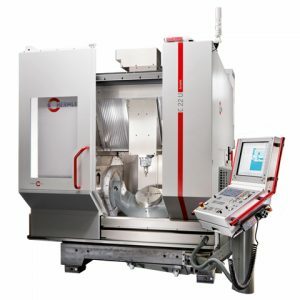 A quality CNC machine shop regularly works well within the .0005 in/ .010 mm range. A vertical machining center, or a CNC lathe can easily hold this tolerance. The precision machining operator uses a wide range of measuring tools to inspect his work before it is accepted. Vision System CMM A Good Eye! An authoritative book, “The Metrology Handbook, Second Edition” provides a foundation for understanding basic metrology and calibration principles and practices. Two individuals should be able to arrive at identical results using the same equipment. If not, it it either the calibration of the measuring tool, or inconsistent technique on the part of one or both mold makers. 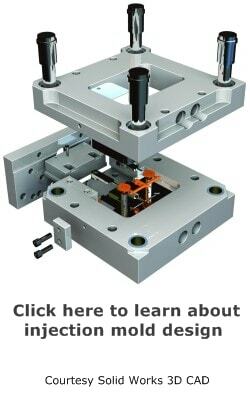 A skilled injection mold maker knows and understands what these highly accurate tools are capable of and how to use them properly. This takes years of experience, and careful attention to detail, all while maintaining a reasonably quick pace of work. With a little practice and training, it is quite easy to maintain consistency in measurement. Think about the fact that many mold components are made in the USA, Sweden, Germany, Switzerland, China or Canada. Yet these complex pieces all fit together easily, nearly all of the time! Many mold maker jobs go unfilled due the lack of qualified workers. Having the ability to take consistent precision measurements is a big part of the required skill-set. Whether it is plastic prototype parts, rapid injection molding components, or metal injection molding, the need for accuracy is the same. An authoritative book, “Basic Metrology for ISO 9000 Certification” gives a nice introduction to ISO 9001 requirements for calibration of test and measuring instruments. It is always a good idea to invest in high quality inspection tools. It does not make sense to imagine that you can produce highly accurate components and insure their accuracy with an inferior gauge. Not only that, but over time, the cheap tool will fail and cost you dearly. You cannot inspect quality into a part, but neither can you be sure you have quality without the right inspection tools. 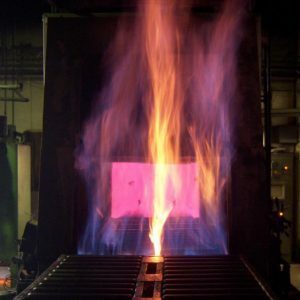 With the global competition heating things up and the need for a 5S environment, many mold shops have drastically changed the way they operate. The days of individual mold makers keeping their own tools are disappearing. Standardization demands that the entire shop has accountability in the accuracy of their measurements. Everything used to measure must be calibrated to a standard. If not, how do you know what is right and wrong? Sort of like life! What needs calibration? Pin gauge sets, gauge block sets, micrometer sets, granite surface plates, dial indicators, optical comparators, and toolmakers microscopes. In short, if you want to maintain consistency throughout the shop, you need to make sure everyone is using the same standards. While this may be annoying at first, eventually it should help to eliminate rework and scrap.